Fred. Olsen Cruise Lines has defined and refined the cruise experience, and judging by the number of passengers that come back time and again, they seem to have styled it to perfection. Many of today's ships are so vast that passengers feel removed from the very essence of a cruise. Not so with the four distinctive Fred. 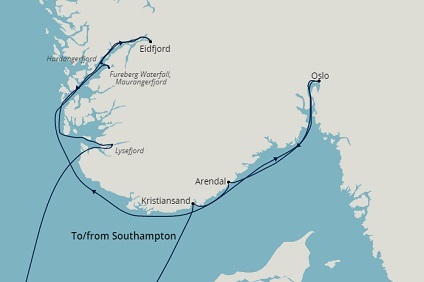 Olsen vessels. Rather than impersonal floating leviathans, Braemar, Black Watch, Boudicca and Balmoral are smaller ships where the emphasis is on you - a welcome guest and not just a cabin number. By operating smaller vessels they can moor in the very heart of things where it is often a short walk down the gang-way to shore rather than a lengthy tender ride to port. What's more you will be able to come and go as you please, maybe to pop back for lunch or drop off your shopping bags before you head back ashore to explore some more. *Comfortable en suite room accommodation, including TV, hairdryer, individual air conditioning, and in-room safe (or use of free safety deposit boxes). *Fine dining, informal buffets and late-night snacks throughout the day and early evening. *Complimentary tea and coffee during the day and early evening at selected venues. *Morning coffee with biscuits, and afternoon sandwiches and cakes. *All evening entertainment, including cabarets and dancing. *Captain's cocktail party and gala buffet. *On board leisure facilities, including swimming pools, Jacuzzis and use of gym equipment. *Daily on board activities and free lectures. *Vistas special interest programmes, or Music & Laughter headline entertainers on many cruises (relevant Shore Tours and some add-ons may be chargeable). *All port taxes for UK ports, Scottish ports of call and UK airport departure taxes (where collectable in advance). Fred. Olsen cruise is always great value, with so much included in the price. Now you can add even more value to your holiday by upgrading to All Inclusive from just £10 per person, per night. You can enjoy selected beers, wines, spirits and soft drinks, all for one set price. Plus, you will be entitled to 50% discount off premium and branded drinks too. 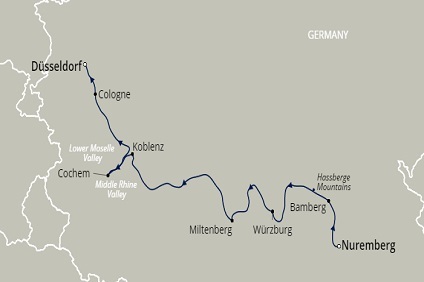 7 Night Cruise sailing from Nuremberg to Budapest aboard Brabant. 10 Night Cruise sailing from Newcastle roundtrip aboard Balmoral. 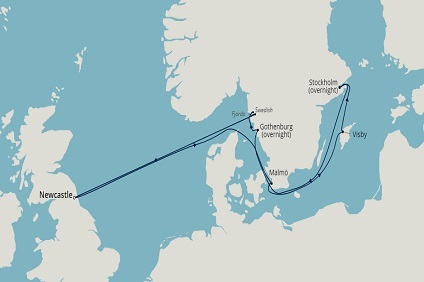 5 Night Cruise sailing from Southampton roundtrip aboard Braemar. 9 Night Cruise sailing from Budapest to Harsova aboard Brabant. 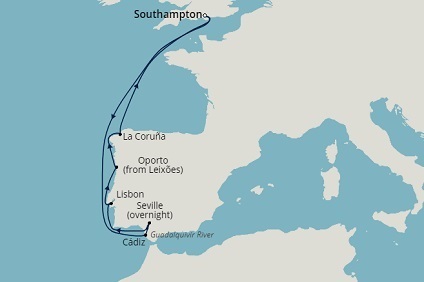 12 Night Cruise sailing from Southampton roundtrip aboard Braemar. 14 Night Cruise sailing from Newcastle roundtrip aboard Balmoral. 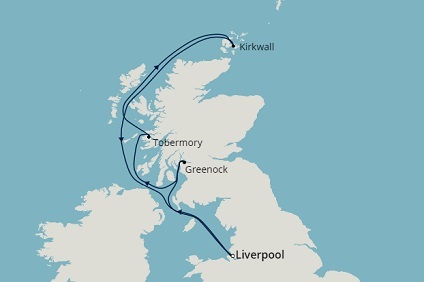 13 Night Cruise sailing from Liverpool roundtrip aboard Black Watch. 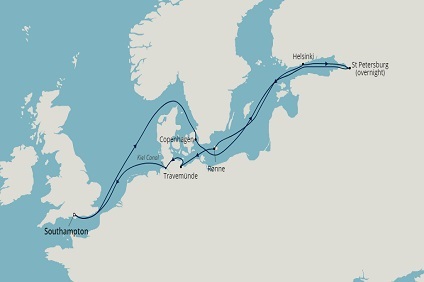 10 Night Cruise sailing from Harsova to Budapest aboard Brabant. 25 Night Cruise sailing from Harsova to Dusseldorf aboard Brabant. 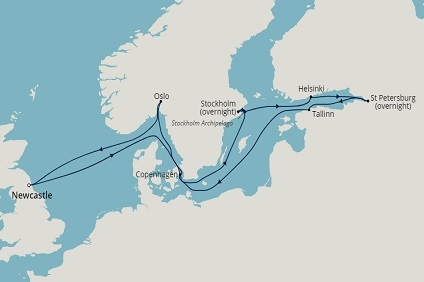 8 Night Cruise sailing from Southampton roundtrip aboard Braemar. 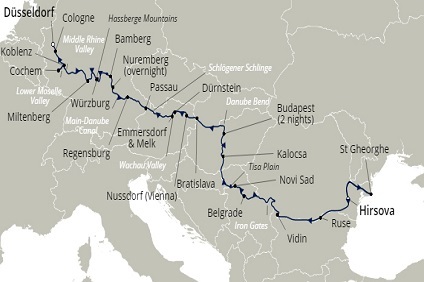 8 Night Cruise sailing from Budapest to Nuremberg aboard Brabant. 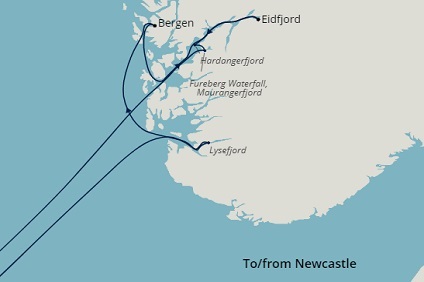 5 Night Cruise sailing from Newcastle roundtrip aboard Balmoral. 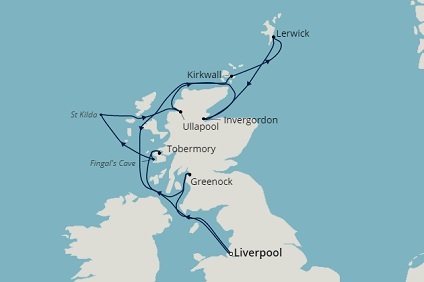 5 Night Cruise sailing from Liverpool roundtrip aboard Black Watch. 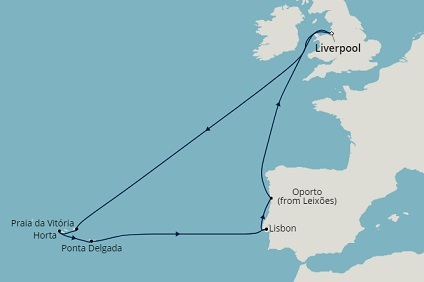 13 Night Cruise sailing from Southampton roundtrip aboard Braemar. 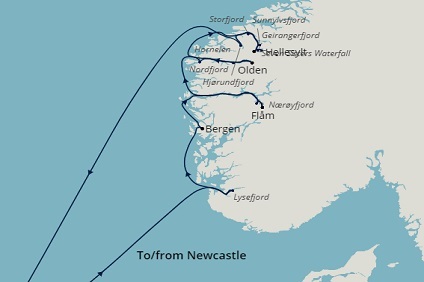 7 Night Cruise sailing from Newcastle roundtrip aboard Balmoral. 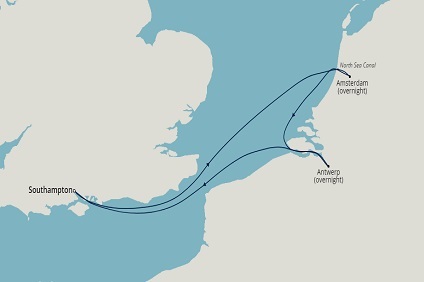 9 Night Cruise sailing from Liverpool roundtrip aboard Black Watch. 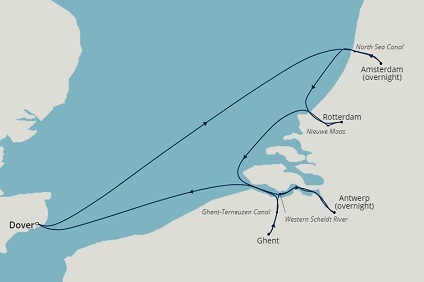 7 Night Cruise sailing from Nuremberg to Dusseldorf aboard Brabant. 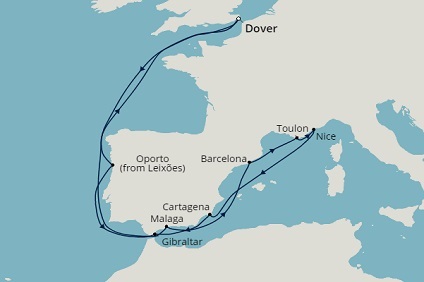 7 Night Cruise sailing from Dover roundtrip aboard Boudicca. 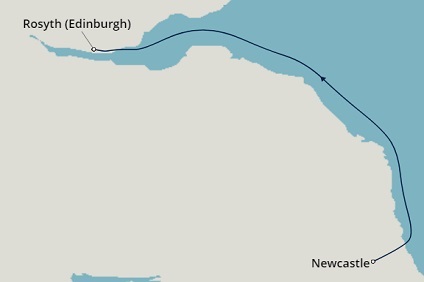 1 Night Cruise sailing from Newcastle to Rosyth aboard Balmoral. Enjoy a taste of our superb food, made the way you like it, at every meal you take on board one of our cruise ships. One of the highlights of a Fred. Olsen cruise is the food. Expert chefs lovingly produce great dishes night after night. Every day menus are something special, with appetisers like herb-marinated salmon or crab cocktail and indulgent main courses like sirloin steak with a choice of sauces, pan seared red snapper with scallops, slow roast duckling confit or balsamic braised lamb shank. Of course there are vegetarian dishes and healthy choices too, with an emphasis on fish dishes inspired by our Norwegian heritage; so even if you’re watching your diet, you’re in for a treat! The desserts are every bit as tasty (think white chocolate parfait or mango apple tart) and the sugar free option means no-one has to miss out. The Maitre d’ on board allocates your dining table arrangements. You can request first sitting (6.30pm) or second sitting (8.30pm) at time of booking. When you arrive on board you will find a Restaurant Seating Card in your cabin, which will advise you of your table number and dining time. This will be your allocated table for the duration of the cruise. Balmoral Ballindalloch, Avon and Spey Restaurants. intimate restaurants on Deck 10. Menu and service are identical. Mealtimes are as flexible as possible – after all you are on holiday. Breakfast is normally served between 7.15 and 10.00am and lunch between 12.00 and 2.00pm in the main restaurants. A buffet breakfast and lunch will also be served in the Palms Cafe on both Braemar and Balmoral, and weather permitting, in the Poolside Cafe and Marquee Pool Bar on Black Watch. ‘Open Sitting’ evening dining is offered as an informal option in the Garden Cafe on Black Watch, The Secret Garden on Boudicca, and in the Palms Cafe on both Braemar and Balmoral. These informal restaurants operate on a self service basis, but a bar service is available. Generally speaking, the style is informal, with gentlemen wearing jacket and tie (lounge suit or sports jacket is fine) and ladies smartly dressed. On ‘Formal’ evenings, gentlemen will prefer to wear ‘black tie’ with ladies elegantly dressed in cocktail or evening dress. As a guideline there are usually four formal nights on a two-week cruise. Details will be supplied with your travel documents. What is your procedure for tipping on board ? Gratuities are not included in the cost of your holiday. However, we pride ourselves on the service offered to our guests, and are confident that you’ll wish to reward staff on board for this service, although tipping is entirely at your discretion. As a general rule, gratuities are charged at £4.00 per person, per day for guests aged 12 and over. This is split between your stewardess and restaurant waiter, and will be automatically added to your on board account. Please remember that our gratuities, while very much appreciated, are voluntary and therefore can be adjusted or removed completely at Guest Services on board the ship if you wish. For your convenience, you are also able to pay gratuities before your cruise. At the time of booking you will be asked if you’d like to pay prior to travel. If so, you’ll pay 15% of the charge as part of your deposit, and pay the rest when the final balance of your cruise is collected. If you do not pre-pay at the time of booking, but wish to pay your gratuities before you join the ship, simply call our reservations department at least 5 days before departure and the team will be happy to help. Do You Cater for Children ? On peak holiday cruises, we will arrange a variety of family orientated childrens activities. These activities will include arts and crafts, disco’s, treasure hunts and similar events, which will be advertised in the Daily Times on board. Separate family pool times will also be advertised. Whereas these activities will be run by our team of hosts and hostesses, they will not be supervised and will require the parent/guardian to be in attendance at all times. These activities are designed to promote family fun, and whilst the target age is 5-11 years, all family members are welcome. Unfortunately no baby-sitting services are available on any of the Fred Olsen Cruise Line ships.